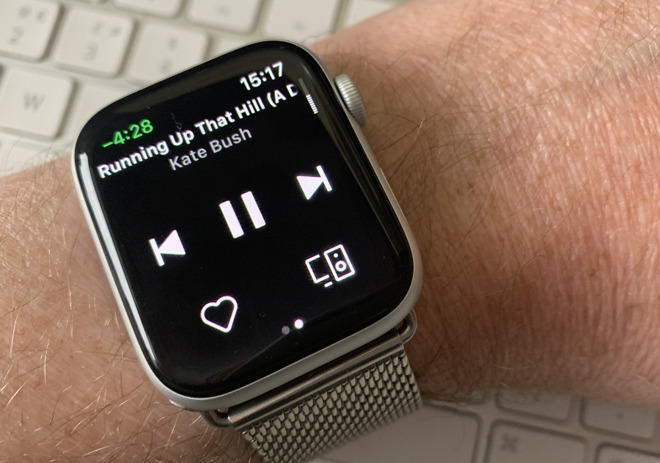 You can store music directly on your Apple Watch and then have the Watch stream that audio to other devices. 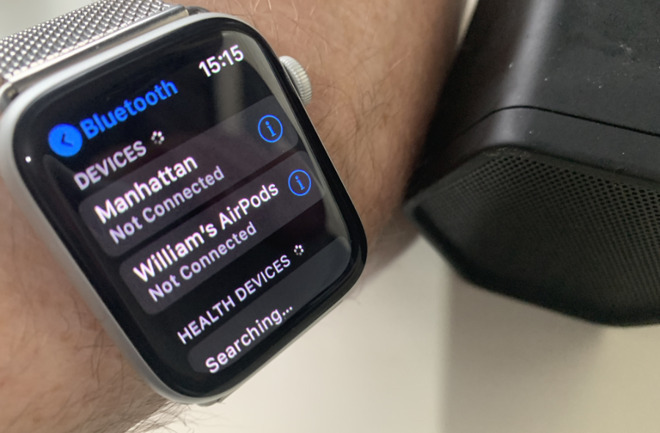 With a few taps you can be playing your Watch's music on AirPods and Bluetooth speakers -- but not the HomePod or any other AirPlay devices. That's disappointing but it's understandable. What is far less understandable and hugely more aggravatingly confusing is that it's as if Apple doesn't want to admit that you can't AirPlay from your Watch. So the button you press to send music from the Watch to another device has the AirPlay icon on it. 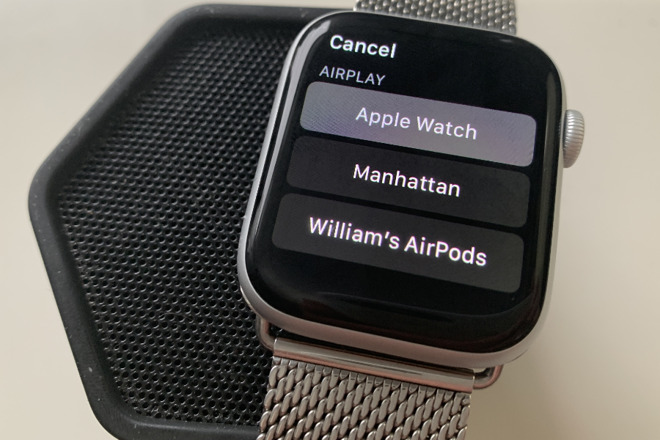 When you tap it, your Watch shows you all the nearby speakers it can connect to -- and the list is headed with the word 'AirPlay'. The icon in the Control Center isn't the Airplay icon, it's the "choose an audio output device" icon. You can see this icon used in the audio controls for the iPhone as well, where it's used to choose between headphones, Airplay devices, and other audio output devices. That's why your Bluetooth headphones and speakers appear there. I'm guessing that someone at Apple mislabeled the menu with "Airplay"-- somewhere else the label is "Bluetooth" so it's obviously just a bug. The Airplay icon is a rectangle with a solid triangle pointing upwards into the rectangle. Apple can do better w/WatchOS audio options! FRUSTRATING!!! It would be nice if the author could split up article on how to pay non-Apple Music apps under one heading and how to play from AM app under separate heading. The discussion would be more organized and save readers some wasted time so they can zero in on what they want.